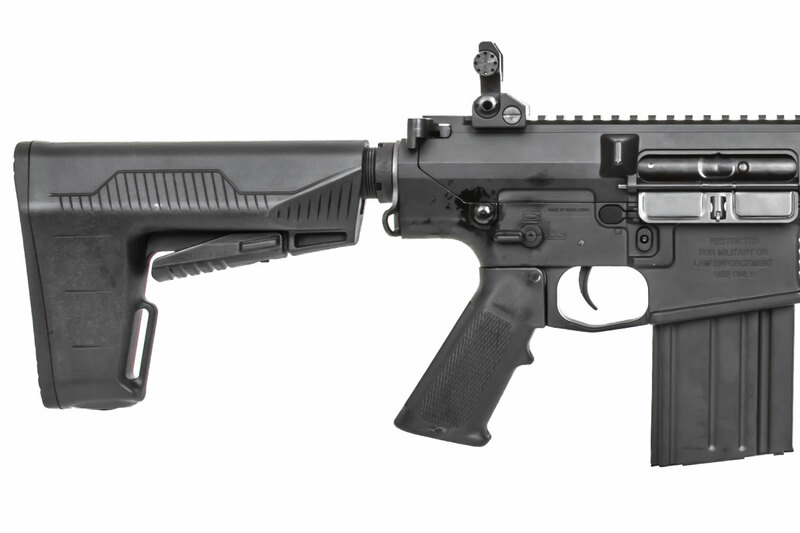 Ideal for long-time veterans of airsoft as well as those new to the game, the Classic Army LS M110 AEGs was designed to give players the ultimate weapon to take down any opposition. 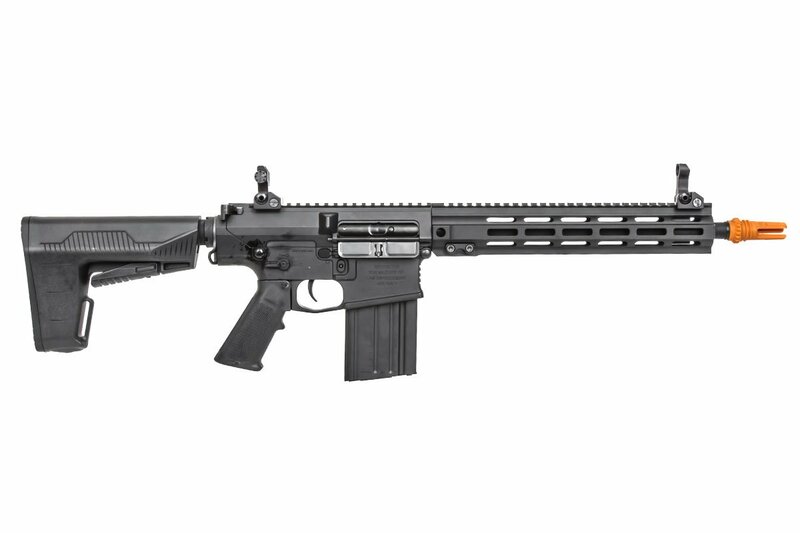 The LS-M110 gives you the comfort of a smooth 12-inch M-Lok compatible rail, on a 308 Platform, that makes this carbine perfect for customization allowing you can make this rifle as simple or as complex as you want. 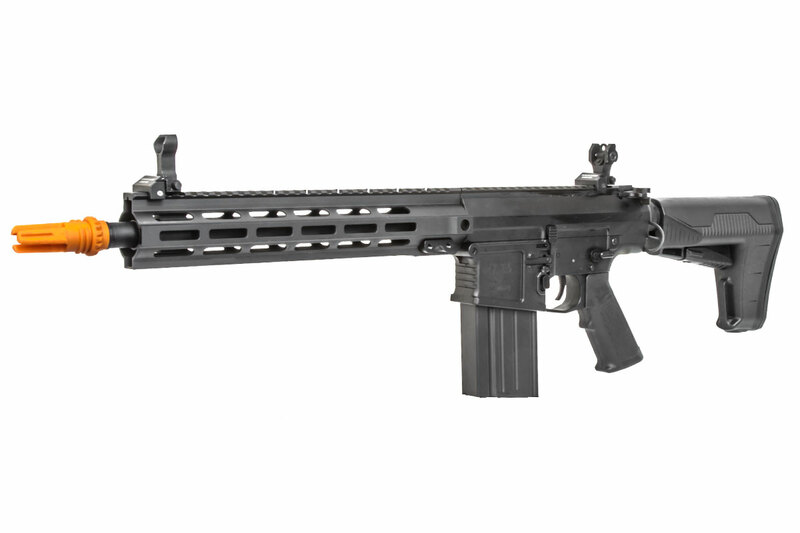 Further the upper and lower receiver are metal in a billet style that gives the rifle a super-aggressive look, and also makes sure both receivers match up perfectly. 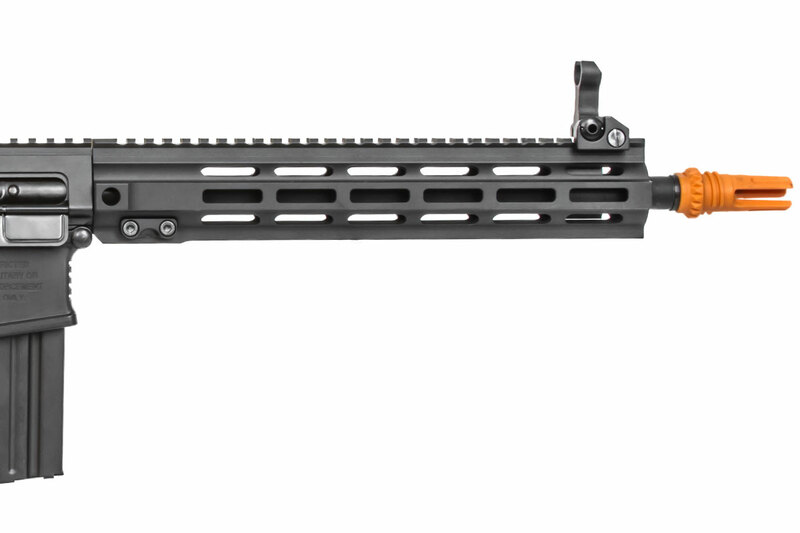 The new Ambidextrous charging handle adds functionality to the exterior, allowing you to access your hop up with either hand, and the bolt can be manually locked open with the bolt release on the left of the receiver. 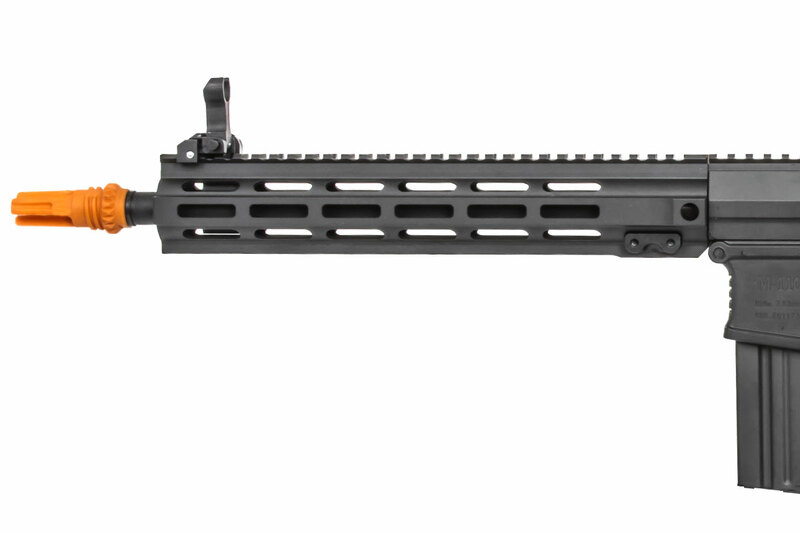 The rifle comes along with other common ambidextrous features, such as fire selector and magazine release. Rounding out the externals are the new three-prong suppressor-ready flash hider (which can fit the Classic Army Fast Attack suppressor) and the B.A.Stock. With the B.A.Stock you get huge battery storage capabilities, with the ability to keep up to 3 batteries in the stock at once. 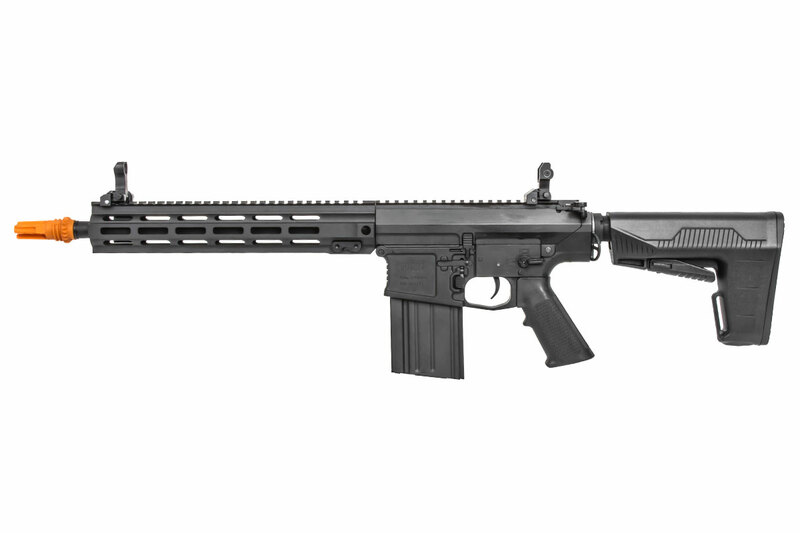 Internally, the rifle has the updated G2 gearbox with a brand-new electronic control system, 9mm bushings, 6.03mm tight-bore barrel for enhanced accuracy, a high torque motor and a quick-change spring system. 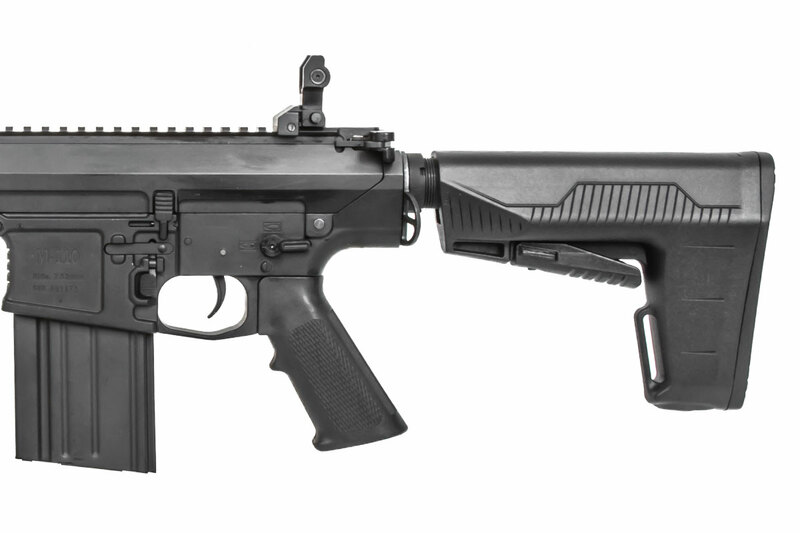 The ECS eliminates traditional trigger contacts and uses a programmable micro-switch trigger that allows for three or five round burst fire and semi-locked function. The LS M110 will shoot 390-400 fps using 0.20g BBs and combined with the new motor it can provide up to 26 rounds per second on a solid 11.1v Lipo, making it one of the fastest AEG's on the market today. It has a true quick-change spring system through the back of the receiver by simply unscrewing the stock tube saving you precious time so you can quickly and easily upgrade or downgrade your spring to change the power level to adjust to any environment.